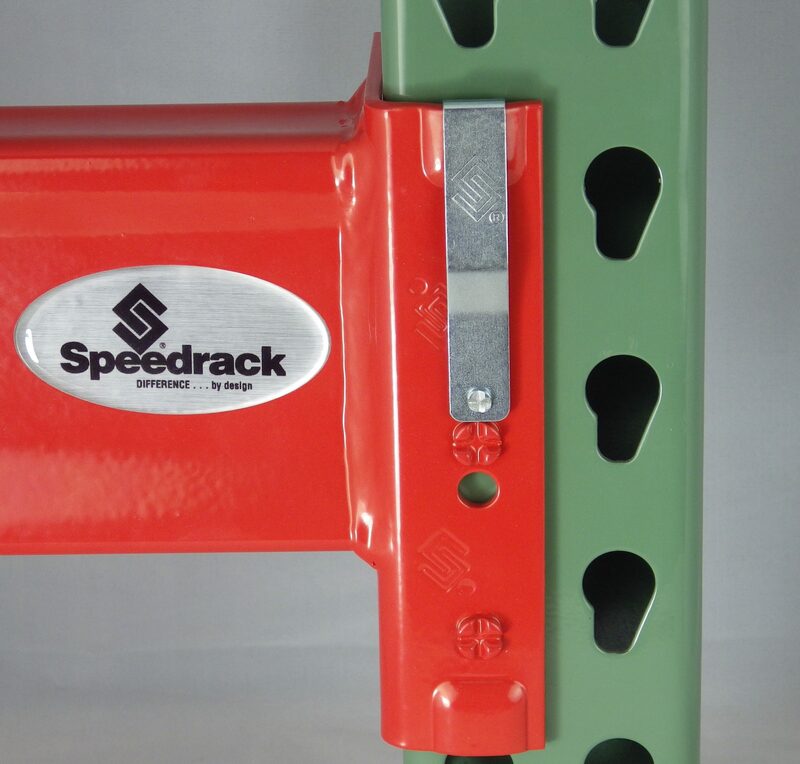 Speedrack Products Group is one of the most well known pallet rack manufacturers in the material handling industry. 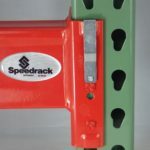 Speedrack has been at the forefront of the pallet rack storage products industry for over 55 years, and is one of the leading suppliers of pallet racking and storage systems in the United States. 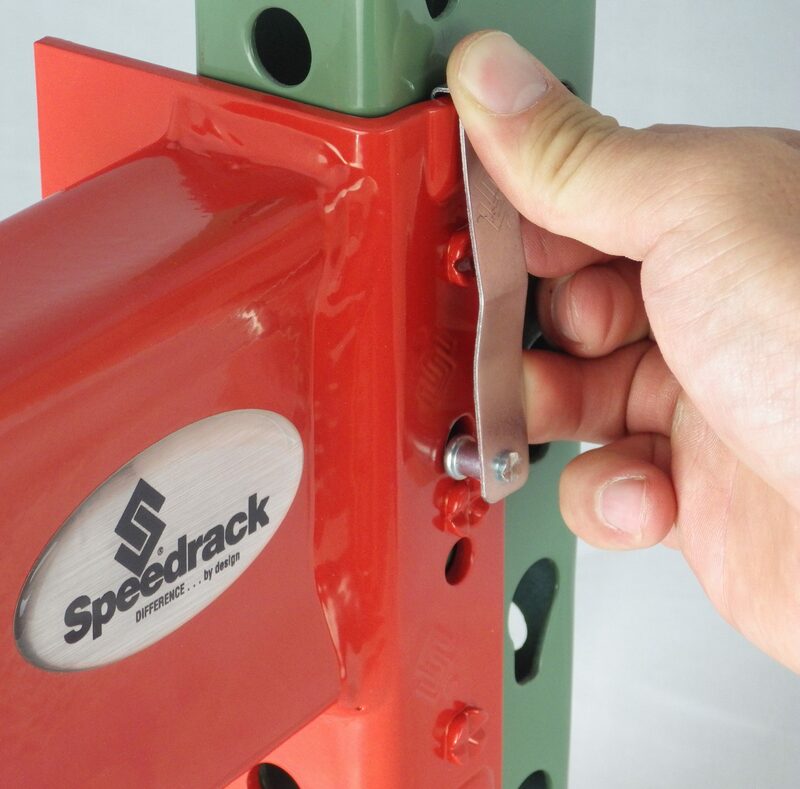 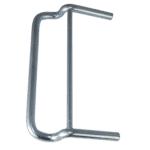 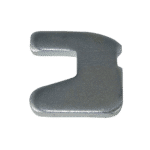 The Speedrack Pallet Rack Clip Teardrop is designed for the Teardrop selective pallet rack system. 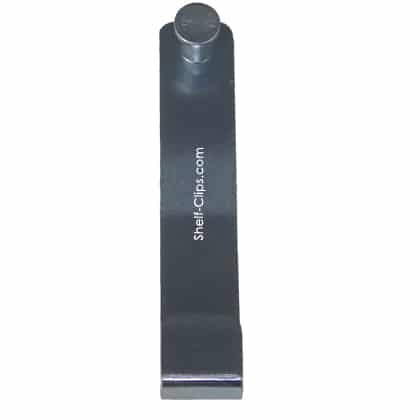 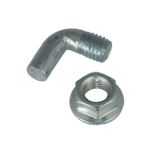 The beam clip hooks on the top of the beam ear and then engages the beam and the frame through a small hole in the beam. 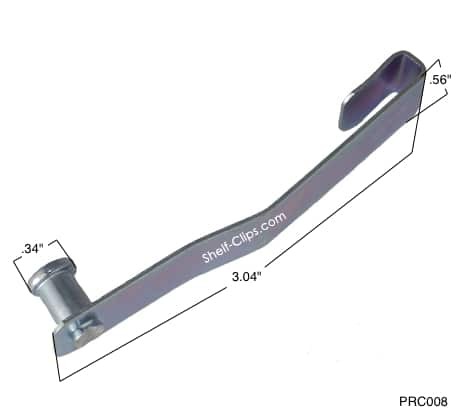 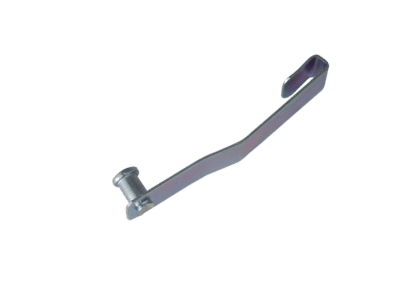 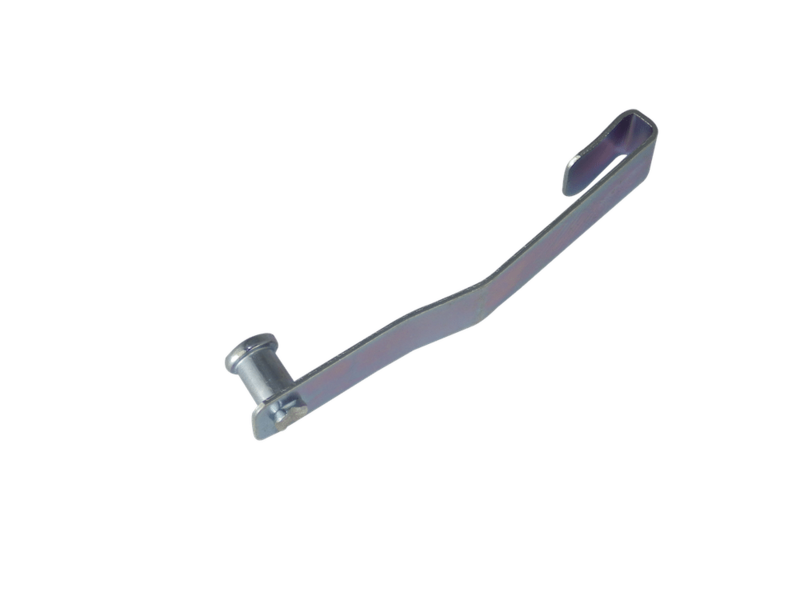 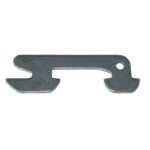 These clips can easily be identified because of the Speedrack logo on the front of the clip.